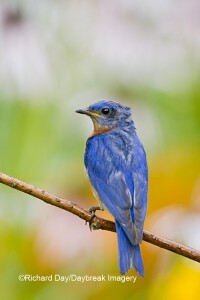 Early Bird Rate on Backyard Bird Photography Workshop! 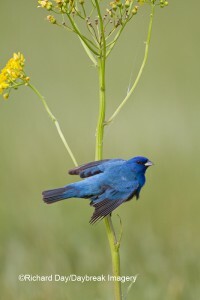 Register before May 1, 2011 to receive our Early Bird Rate for the Backyard Bird Photography Workshop scheduled for June 17-19, 2011 at the Daybreak Sanctuary! This is your chance to learn bird photography from a pro! Richard Day, one of the world’s premier bird photographers will lead this workshop at his home in south central Illinois. He and his wife Susan have created a wildlife sanctuary on 63 acres that includes a 3-acre yard landscaped to attract backyard wildlife, a 5-acre native grass and wildflower prairie, and 2 shallow water wetlands. We are backyard wildlife specialists and most of the images we sell are taken on their property – which has attracted nearly 200 species of birds. This workshop will include personal instruction on the basics of bird photography as well as critiques of work done (of digital images) on site. Participants will have access to specially designed photo blinds that will be set in several different locations. You’ll rotate to each location so everyone has the maximum time with different bird species in various habitats. All birds are wild and free flying but are accustomed to the blinds. 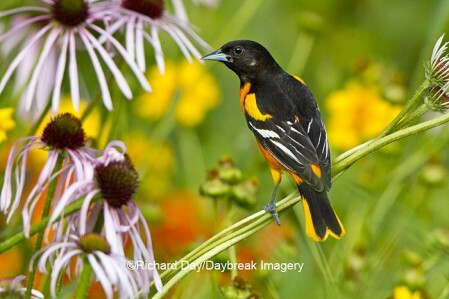 Birds common in our yard in June include Baltimore Orioles, Northern Cardinals, Eastern Bluebirds, Indigo Buntings, American Goldfinches, several woodpeckers, and more. Early summer butterflies, dragonflies, and flowers in our numerous gardens provide a bonus for this well-rounded backyard habitat. Richard and Susan’s yard is certified with the National Wildlife Federation and Illinois Audubon Society Backyard Habitat Programs. This one-of-a-kind workshop is limited to 4 participants. This schedule is subject to change depending on weather and bird activity–and what the group wants to do. Some groups like to photograph all day, and others want more classroom-type instruction which is done in our house or in the yard, depending on topic. Programs and instruction will include how to photograph birds, Photoshop tips for bird photography, workflow, editing images, and any type of camera or equipment questions people want/need. This will be customized according to what the group wants to learn. This entry was posted on Monday, April 18th, 2011 at 5:41 pm	and is filed under bird photography, Birds, Butterflies, Gardens, nature photography, Photo Workshops, Seasons. You can follow any responses to this entry through the RSS 2.0 feed. Both comments and pings are currently closed.